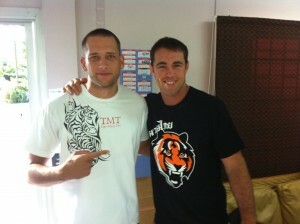 UFC Champion Jake Shields trains Muay Thai and Tiger Muay Thai and MMA training camp, Phuket, Thailand. Riding an impressive 15 fight winning streak Jake Shields has beaten Jayson “Mayhem” Miller, Dan Henderson, Martin Kampmann and Carlos Condit he is rumored to be next in line for a shot at the UFC Welterweight Championship belt currently held by GSP. 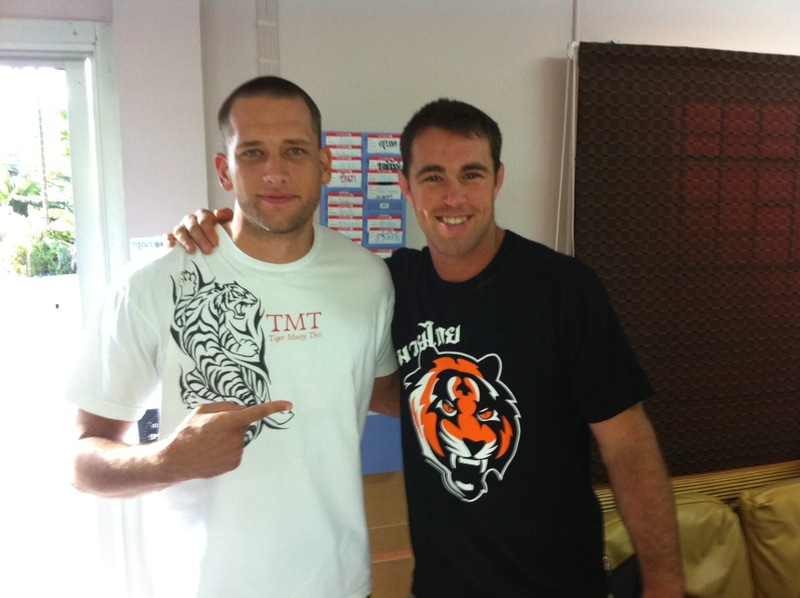 Shields will be at Tiger Muay Thai for the week training under Kru Yod, and is looking for the next opportunity to fit a training trip into his busy schedule.